Dr. Robert Wayne Kern passed away on Monday, June 5, 2017, and went to Heaven to be with his Lord and Savior, Jesus Christ. He was born January 20, 1935, and reared by his parents in Bullskin Twp., Fayette County. As a child, many called him “Whitey” because of his blonde hair. At the age of fifteen, he accepted Jesus Christ into his heart. This gift from God and his choice to accept it, changed the entire course of his life. As a hard-working young man, he caddied the golf course, hayed the summer fields, raised strawberries, and sold Bibles door-to-door. This provided the means for him to advance his education. He attended Bob Jones University. He graduated with both a BA in Bible and MA in Church Administration. Upon graduation, he remained there for five years on the administrative staff. His Alma Mater granted him an honorary doctorate degree in 1993 for his faithfulness to God and his work in the ministry at Community Bible Church, Aliquippa. 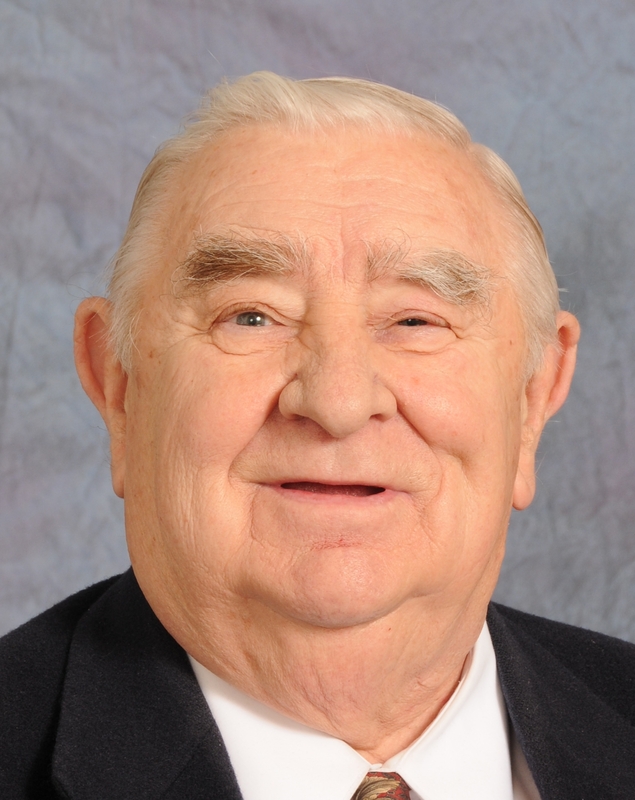 He served as Pastor of Community Bible Church for 56 years. This church being his only pastorate, and he being the only pastor the church ever knew. He founded Bethel Christ School, a ministry solely supported by the church. This provided a channel by which students could learn in a godly setting. He remained administrator of this branch of the church until his death. He was a board member of Gospel Fellowship Association, Greenville, S.C., a mission board sending missionaries abroad to spread the Gospel of Jesus Christ. He also was a board member of Living Waters Bible Ranch, Graysville, Pa., a Christian summer youth camp. Those who knew him could testify that he was a strong but gentle man. He loved the Lord and the flock of people God gave him to lead. Pastor Kern was ready and willing to help those in need at a moment’s notice. He prayed faithfully for all those that he knew. He testified openly of one’s need to receive Christ as his Savior. His life verse was John 1:12 – “But as many as received Him, to them gave He power to become the sons of God, even to them that believe on His Name.” He was joyous in serving Jesus. He is survived by his loving wife of 57 years, Amy (Woodward); a son, Robert R. (Kathleen, his wife); a daughter, Sharon J. McGrew (Stephen, her husband), and a son, Carl W. (Donna, his wife). He is also survived by his seven grandchildren who were the love of his life, Lauren Kern, Brittany Martin, Chelsea Kern, Robert Kern, Nicolas Kern, Noah Kern and Kiley Kern. He was preceded in death by his parents, Carl R. and Helen Kern, and also his sisters, Betty Lou Harbaugh and Linda Jane Hogan. The family will receive friends Wednesday from 1 to 4 and 7 to 9 p.m. in the Community Bible Church, 4549 Route 151, Aliquippa, PA 15001, where a service will be held Thursday, June 8, 2017, at 11 a.m. He will be laid to rest in Beaver Cemetery, Beaver. In lieu of flowers, the family requests that contributions be given to Pastor’s life-long ministry, Community Bible Church or Bethel Christian School.